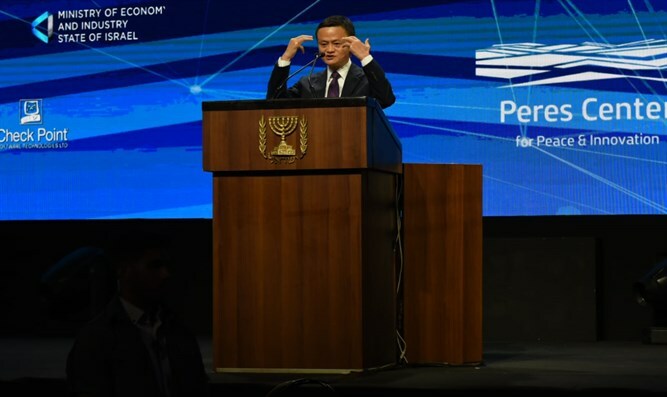 Jack Ma, founder of Chinese internet giant Alibaba, speaks at PM's Israel Innovation Summit: 'In Israel I learned about innovation, chutzpa. Prime Minister Binyamin Netanyahu's “Israeli Innovation Summit” opened Thursday at the Tel Aviv Exhibition Grounds. The summit, which addresses the challenges of the future and the contribution of Israeli technology to a better world, is being attended by 1,000 guests, including the Vice President of China, senior executives of Google, Facebook, Alibaba and hundreds of entrepreneurs. The Prime Minister's ‘Israeli Innovation Summit’, was initiated by the Ministry of Culture and Sport and in cooperation with the Peres Center for Peace and Innovation.